Rescue crews at Fremont Avenue beach on Seaside Heights. 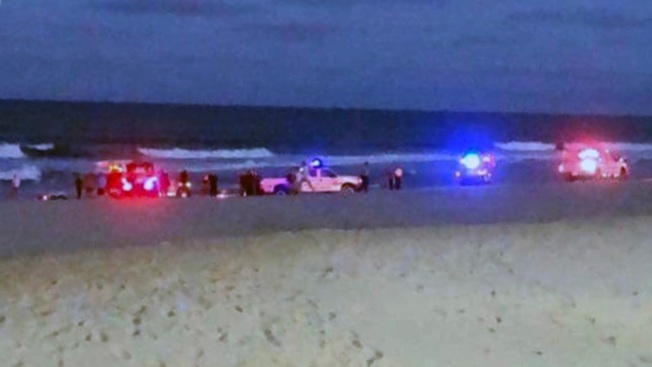 A swimmer was pulled from the water and died after he was possibly knocked unconscious by a wave at Seaside Heights, the fire chief said. The 44-year-old man from New Brunswick had been at the beach with his wife and 5-year-old son, police and the Seaside Heights fire chief said. He was seen getting struck by a wave at Fremont Avenue beach, then was floating in the water, police said. Fire department dive teams and the coast guard responded. Lifeguards were not on duty at the time.